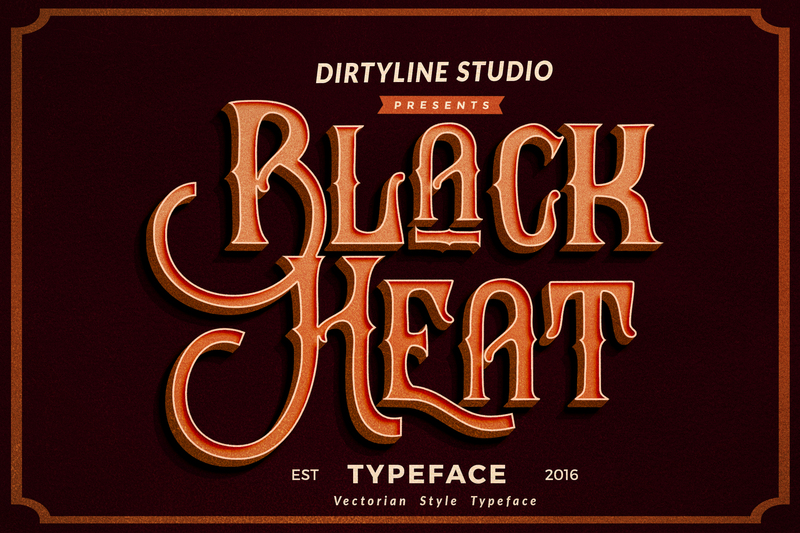 Black Heat is a modern vintage font created and published by Hendra Maulia, an Indonesian type and lettering artist. Consisting of two styles, regular and inline, Black Heat sets apart as a decorative font that can help you on greeting cards, branding materials, business cards, quotes, posters etc. Create hot designs with Black Heat! A font description published on Wednesday, July 20th, 2016 in Dirtyline Studio, Fonts, Hendra Maulia by Andrei that has 2,169 views.